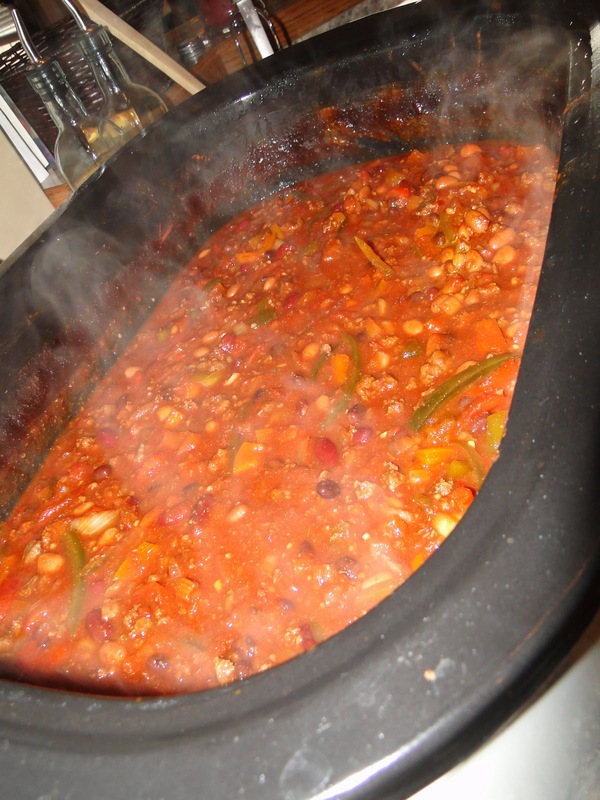 After I posted my Halloween pics, I had a couple of commenters want a recipe for my hubby’s fantabulous chili. After much prodding and begging for the secret recipe – I finally got it for you. Let me remind you this is my husbands recipe so “alot” of it is to taste although this is the “base” that he follows. Brian feels that the key to good chili is mixing the seasoning packets in with the meat and letting it sit for about 20 minutes before cooking it. He also cut the jalapenos lengthwise like match sticks so that for individuals that didn’t want them, they were easily identifiable so they could be removed. I have to admit, I was never really a fan of chili but I LOVE THIS! If you try it let me know how it turns out!